Awakino is a coastal settlement on the banks of the Awakino River, which rises in the Hērangi Range and empties into the Tasman Sea five kilometres north of Mōkau. Traditional Māori pā sites were clustered along the coast around Awakino. An early view of Awakino. Drovers are taking cattle through the main street. 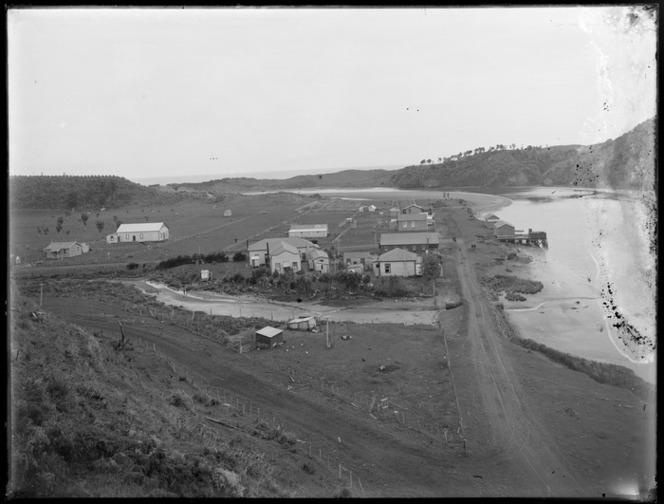 In 1854 the government purchased almost 6,500 hectares of Māori land around Awakino. 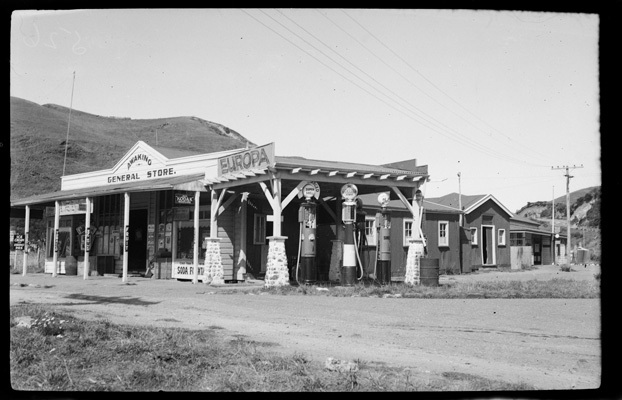 Because the King Country was closed to Europeans between the 1860s and the 1880s the land was not surveyed until 1883 and was only made available for settlement in 1893. Awakino ca1910. The jetty was used to load and unload cargo from ships traveling the West Coast. 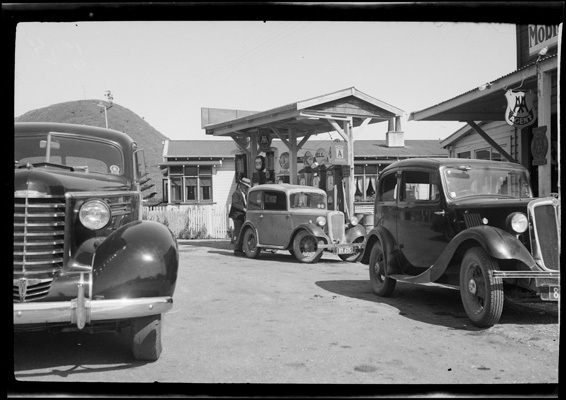 Farming, flax processing and sawmilling were important early industries in the district. Ships plying the North Island’s west coast called in at Awakino. However coastal shipping declined in the area after the bridge across the Mōkau River opened in 1927 and Awakino was no longer used as a port. 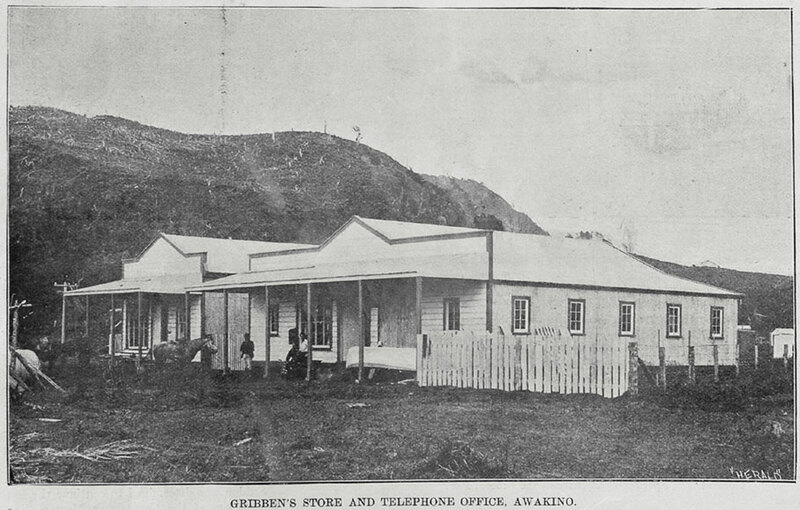 One of the earliest commercial buildings was a store and telephone office built by the Gribben brothers in 1884. 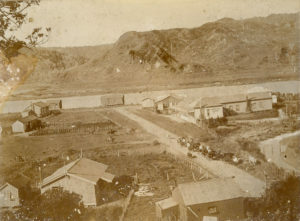 This was later owned by Newton King who had bought a station at Nukuhakere, north of Awakino, in 1907. Today this building still stands and is now the Awakino River Lodge.